Topic: A great Christmas Pressie-but a little overpriced? Re: A great Christmas Pressie-but a little overpriced? I usually think a guidebook is worth about 10 beers or thereabouts. Given that one is being posted from Switzerland, the price seems about right. Kayaking is dangerous and stupid. I only bother doing it 'cos it's fun. Topic: My first New Boat topic in ages! Re: My first New Boat topic in ages! Is there a good comparison of boat weights available online anywhere? Boats certainly seem to have got heavier over the past couple of years and it'd be interesting to see how they stack up, especially in an independent test. Any retailers out there test the boat weights from different suppliers? I remember this cropping up a few years ago. Looks like it has come along nicely. I wonder what it's like in a side wind? For most western folk in Ladakh, the inform appears to be a pair of ridiculous stripy pantaloons, a scraggly beard and a vacant look. For the river, I'd go with dry rousers and then a three season sleeping bag for the nights, which can get a bit fresh once you are into the deeper gorges. Topic: How to teach Low Brace & Low Brace Turn? Re: How to teach Low Brace & Low Brace Turn? 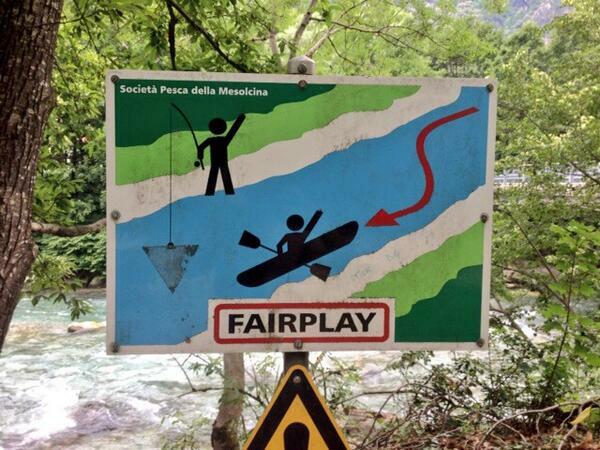 In Ticino, Switzerland, they have got this spot on. Levels will be low all season from what the guides were saying last week. The dam is releasing slowly to try and keep it paddleable all season. That is a sad and sobering film. Having visited, stayed in, and paddled through many of the towns in that film, it was enormously upsetting to see the damage done by the floods. To see how much of that was avoidable is sickening. It's worth noting that the ear dip can be taken too far. It does allow you to plant the blade much further down the drop to get more purchase on those sloping drops. There can't be many instances where that it is critical though. I suspect that most folk do it for the best reason of all: 'cos it's fun. How about at the bottom of HPP for the student rodeo, it could collect lost boats, bits of footrest foam, paddles, bits of costumes, and passed out freshers. Topic: Ben Marr is Dreaming! Re: Ben Marr is Dreaming! Incredible. That raises the bar for everything. If this were posted eight days ago it would have been really funny. At least they have now admitted that Canoe England and the BCU are the same thing. Where abouts are you based? I'm pretty sure people will be able to direct to towards your nearest dealer. 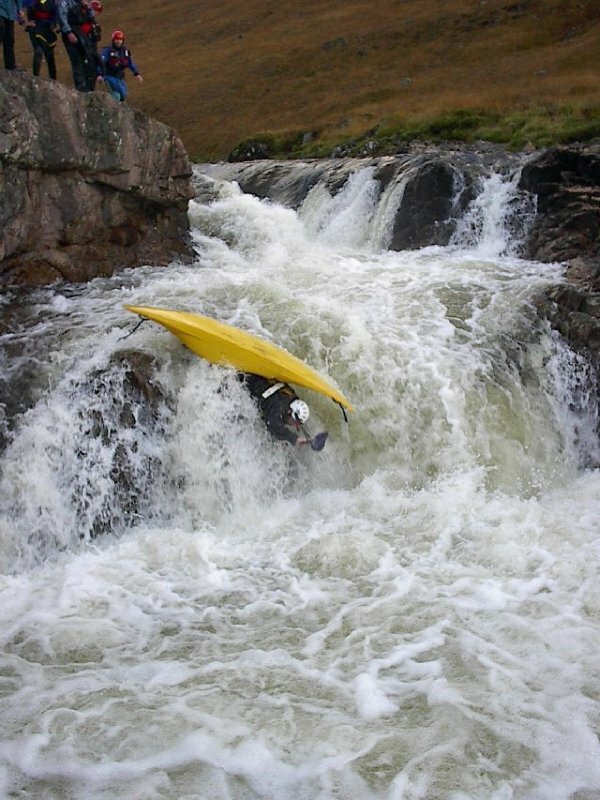 At about 85 kg, I rally enjoy the medium Nano as a fun little boat on steep and bouldery rivers. I'm certainly towards the top of the weight range and if it were my only boat, I would probably go for the large. Here in southern Switzerland the snow pack is reasonable. It's not as epic as last season, but there is still plenty of snow around. We had about 20 cm in the last few hours at 1200m in Villars, much more higher up. Should be a good spring and summer. That's remarkable. In a response that would fit in a tweet, they have managed to speak volumes about just how much they care about the views of their membership and access to rivers in Wales.